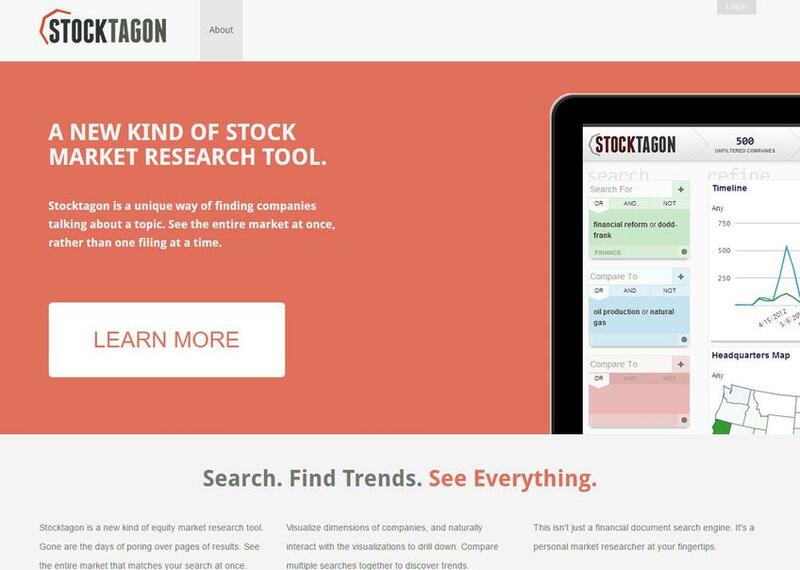 Stocktagon is a new kind of equity market research tool. Gone are the days of poring over pages of results. See the entire market that matches your search at once. Visualize dimensions of companies, and naturally interact with the visualizations to drill down. Compare multiple searches together to discover trends.